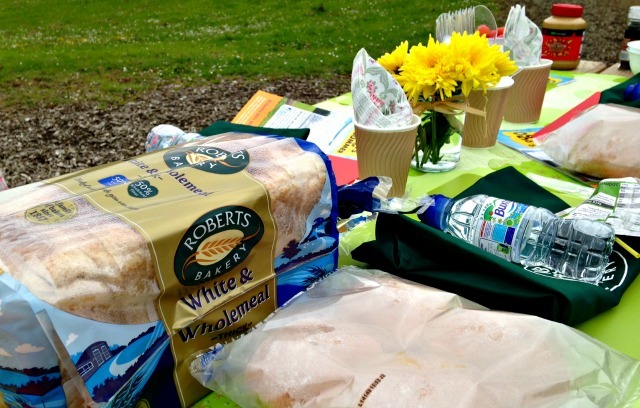 Last week me and Lucas went along to Delamere Forest for a day of healthy sandwich making with Roberts Bakery. It was great to go to an event in such a beautiful location and enjoy some fresh air while we learnt a little more about Roberts Bakery’s 50 Days of Summer campaign. This will be running during the summer holidays to encourage us all to get creative and keep busy; you can download the pack from their website as of the 20th June and it will provide a fun activity everyday including some fab healthy recipes. Look out for #50days on their Twitter for more information. Our day kicked off with a talk from Karol from the bakery about the importance of bread in everyone’s diet and why Roberts 50% white 50% wholemeal bread is particularly great; it contains protein, complex carbohydrates, calcium, iron and the B vitamins – thiamin, niacin and a little riboflavin. I think sometimes there is a misconception out there that bread is unhealthy so I was keen to learn some new healthy recipes for my own little butty-eater. The day was brilliantly organised, we all had our own little station and were given the ingredients to make four sandwiches to share over a picnic lunch. It felt a little like we were on a cooking show; with our aprons on we set to work creating our sandwich masterpieces. 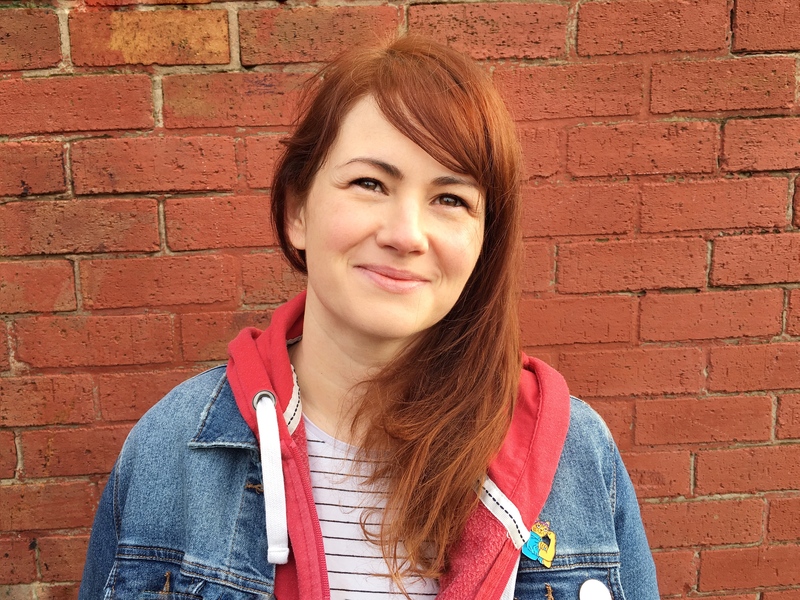 It was lovely to be able to catch up with some fellow bloggers too. While we were busy the children were being entertained by storyteller, Ian Douglas. He was brilliant but I have a runner who was eager to explore, luckily there was plenty of space for Lucas to run free in (and a lovely Dad and son who he latched on to). Every now and then I could coax him back up us to cast his approving eye over the lunch preparations. When we had completed all our sandwiches we were able to enjoy them on picnic blankets under a canopy and we were treated to a story and a very special tale that the children helped to act out. Shape the bread into monkey faces; a large circle for the bottom and a smaller circle fro the top. Spread the large circles with the peanut butter. Thinly slice the banana, then lay on top (use more than one layer if you like). Drizzle with honey, if using. Top with the other slices of bread. Add two banana slices for eyes and make a honey mouth! Sounds like a lovely day and all with my favourite – bread! I’ll look out for this brand as I’ve not heard of it before! It is lovely bread I have to say. It’s a Cheshire brand and I don’t always see it in our local supermarkets but I get it now if I do…it went very quickly in our house! Great post! 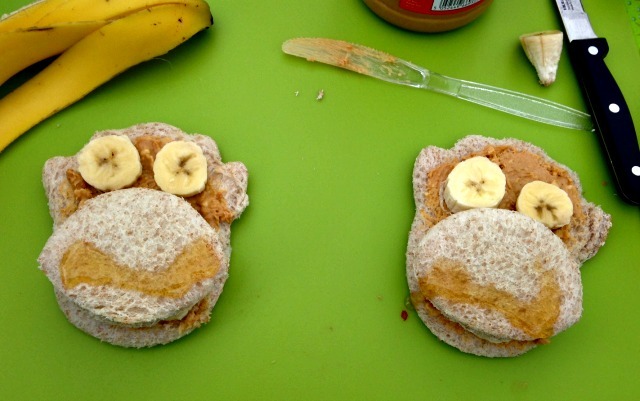 Those little monkey sandwiches were adorable!! They were a hit with my little boy, I think we’ll be making them again! Looks like it was a fun day – Lucas is out for the count in that last photo. Oh & love your apron. Will I be invited round for sandwiches now? 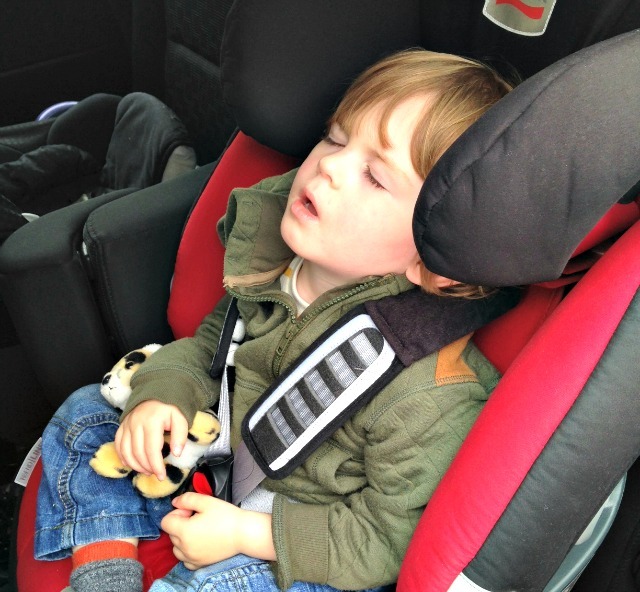 It looks like the day of fun wore little Lucas out! I do like the look of the Nutty Nana sandwich – I bet that was delicious. Thanks for linking up and sharing your fun in the forest with Country Kids. He was shattered but he never stopped all day, as soon as he sees open space he just wants to go!